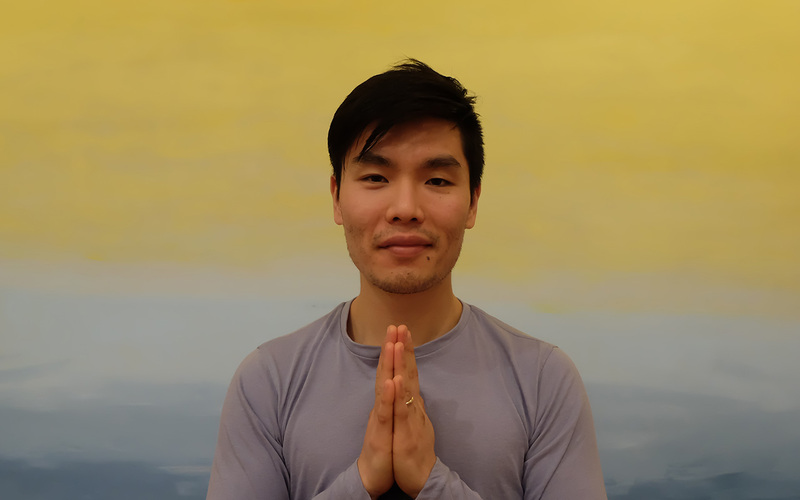 Yuuki Hirano is a yoga teacher, owner of Dou Studio, co-founder of Suryaside Yoga and Hosh Yoga and an acupuncturist in New York. 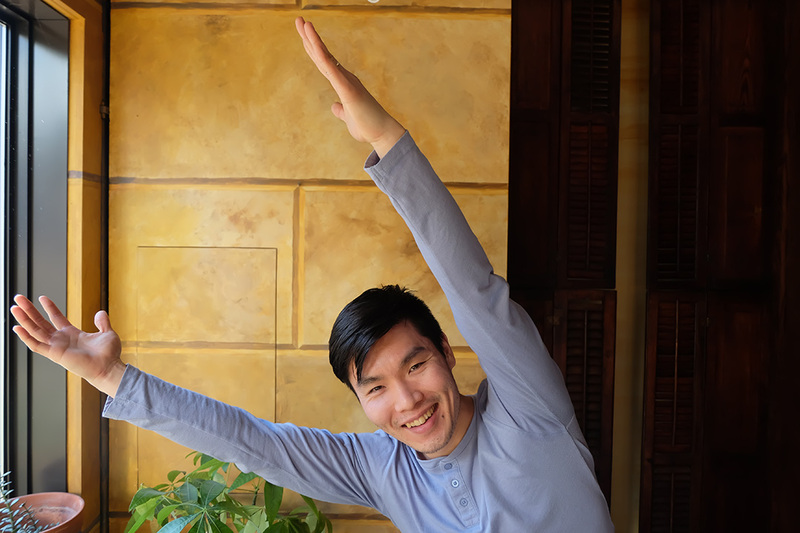 He completed his training with ISHTA Yoga and has been teaching since 2008. After meeting Yuuki you quickly notice his bright personality and appreciation for others. He stumbled into yoga like many of us do, and we’re grateful for what he’s done to create community. From senior year of high school into college, I shifted my personality into much more hippie-dom and yoga sorta fit right along inside that. I was introduced into an asana practice in college. I was studying philosophy and there was a philosophy of yoga, where we would learn about some of the history, the Bhagavad Gita and do a Hatha practice. Did you move down to Manhattan after college? I grew up in Westchester, an hour north from Grand Central. I moved down into the Bronx with my friends after college. I was working in the city and that’s when I started doing more yoga. There was a donation based studio nearby and I started going there. And [yoga] became [a] part of my life. When did you decide to teach? I like your thinking:) Shifting gears, I was recently taking a taxi ride in northern New York and the driver asked me about yoga after seeing my outfit and bag. It was funny, he asked, ‘yoga, isn’t that mainly for women?’ His question reaffirmed a lot of what I know about how yoga is perceived in the mainstream. Yoga has become extremely common among women. How has it been for you as a man in the yoga community? Does it come up? Obviously it comes up. Especially in a teacher training format. It’s something I am mindful of. I think it comes up when we’re talking about hands-on adjustments. I’m sensitive to that even more so now. But even beforehand as a male, there are certain adjustments I won’t ever do; they won’t be appropriate no matter how well I know a student. That’s the main thing I’ve noticed about being a male in a predominantly female yoga studio. Also, there aren’t that many [male yoga teachers]. I have a couple of colleagues who are male but even at the studio, we have three male teachers that are on the schedule plus the ten female teachers. The balance isn’t there. Possibly the taxi cab driver’s perspective has an influence on that. In conversations with men what do they say about yoga? Do you ever encourage them to practice? It depends. From back home, some of my friends do yoga, some of them don’t. Not that they have an opposition to it. It’s not their go-to mode of exercise. They might perceive it as just exercise and if that’s the case, there are other [ways to get that] — going to the gym will help you get bigger and stronger or going running or biking will work on cardio more. They might not fully grasp that it’s more than a physical exercise, that there is something profound to it that affects your overall well being not just your physical well being. I love how you talk about community on the Dou website. You say, “we believe in the importance of the individual and collective community.” I’m curious why community is important to you. Community is important because we don’t live isolated. There is the saying, ‘it takes a village.’ As animals, we’re very social and especially now with the way our residences are built up, the ways we can interact more digitally – which is amazing because it allows us to connect when we wouldn’t have if we were geographically disconnected. [Yet], living in a city can make people feel like they’re not connected. 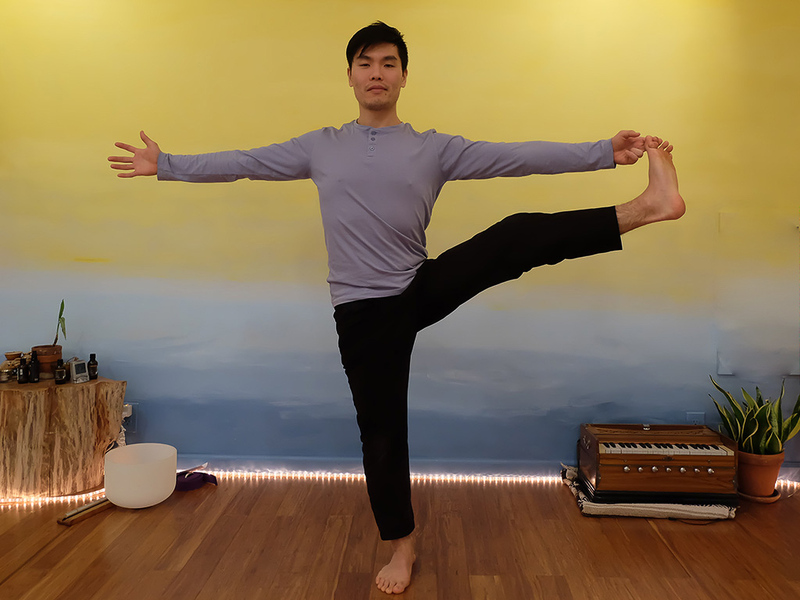 Creating a space – regardless of why someone comes into the studio or what they want to get out of the practice – where they still have at least a common shared idea of coming into the space, breathing, moving, meditating. Being able to do that helps break down barriers. We’re not so different. With your teacher training, is there a part that emphasizes the aspect of leading a community-centric class? There isn’t a specific module or lecture that talks about it; it is the vibe of what we’re trying to put on. In the same way with the studio. It’s not like, ‘hey this is community time! Over here it’s not.’ Regardless of where, when, what, it’s going to be a welcoming inviting space. If people can carry that with them, while they’re teaching yoga, while they’re interacting with their friends, while they see a homeless person on the subway, that’s all part of the community. The things that we’re very close to and the things that seem so distant are all part of this ecosystem. Are there any particular words that come to mind for creating that kind of community space? Well even starting off [at the beginning of class], asking about hands-on adjustments. I remember when I first started teaching how important I thought hands-on adjustments were and [I] felt hesitant to ask because if someone said no, I thought, ‘oh well if I can’t adjust them then the practice isn’t going to be as rich.’ But I realized it’s not about me, it’s about them and if they chose to not take hands-on adjustments – or even creating that space where they have the choice to say no – changes things a little bit. The way I teach is by guiding them through the basic movements, then allowing a lot more space to experiment, explore and feel, instead of drilling them with a million alignment cues. The collective might be, we’re all doing Warrior 1, the individual will be that one person’s Warrior 1 will feel different than the other person’s. For me to say that this is the alignment feels unfair for them not to be able to honor what they’re feeling. I’ll guide them into a certain type of shape or a movement then be like, ‘alright now that we’re moving in and out of this thing, and as we’re breathing maybe you notice this, maybe you notice that, see if you do. If you do then what is it you’re noticing because it might be something I haven’t noticed before.’ Making all that correct, because there is also that part where people may think if I’m not doing it right or if I’m not feeling the thing that the teacher said, then I’m doing it wrong and that’s not the case. You also practice acupuncture. That and yoga are both non-traditional western healing practices. What drew you to them, what connected there? It goes back to how I was raised. My mother for the most part whenever we would get sick, whatever malady there might have been, she wouldn’t say, ‘go pop those pills and feel better.’ It was, ‘here is some echinacea, let’s try these root tinctures.’ If our stomach was upset, she’d press on our backs and try to massage there. If we hurt ourselves, trying to figure out what can we do to rehab it ourselves versus getting surgery or going to the doctor. It was a lot more of a self sustained, self inquiry kind of process. That was a big influence on how I looked at health and how I looked at being able to help people. This has been really great Yuuki. Do you have anything else you want to add? Something that I’m really hyped on right now is a program Roque and I started with the Suryaside training that Hosh is now partnered in, that we’re also bringing internationally with our training in the Dominican Republic. [It] is this ‘I Can Breathe’ program. We gave a scholarship to one of the students in the Suryaside training, so after he graduated he’d go teach in the Queensbridge housing projects. We also have a spot open for the training in the Dominican Republic for someone local to take the training [and] afterwards teach yoga in their community. Do you think there is something powerful about going outside the studio to bring yoga to people? Making it more accessible? That word in and of itself — the accessibility of it. People in Eastern New York aren’t taking the subway thirty minutes to an hour to just go take yoga an hour then an hour to go home. That’s a three to four hour process. If they have the time, they’re probably not going to choose to do that but they might not have that time at all. They’re either working or if they’re not working, sleeping or decompressing. For us to bring it to them makes it a little more accessible. 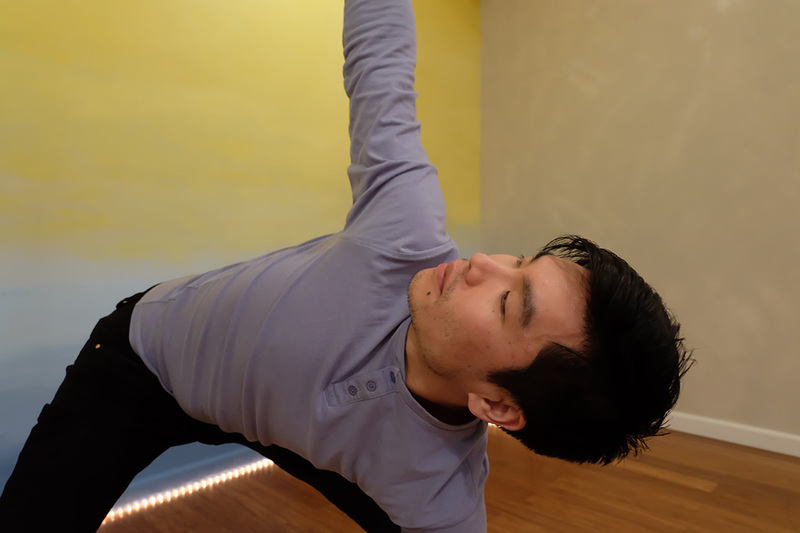 Part of the stigma is ‘oh clean yoga studio for – and going back to that taxi driver – clean yoga studio for skinny white blonde women.’ If we have more diverse teachers going into more diverse neighborhoods, expanding this image of what yoga is and re-educating people on what it can do, I think we’ll have a greater impact. Just sharing the power of this practice. The idea of mindfulness and movement and how all these things play into self awareness. When you’re self aware you can be more mindful about how you feel, what you’re eating, how you relate with other people. You start to become aware of power dynamics that are either serving you or not serving you. And being like ‘Maybe it’s time for me to not keep doing what I’m doing and change my life.’ I’m really excited about that.